Every year, the 16th January is International Hot and Spicy Food Day! Perhaps you’re wondering why there is such a thing as International Hot and Spicy Food Day? Well, there are hundreds of different spices across the world, and they are combined into a multitude of taste-bud-sizzling dishes – if that’s not a reason to celebrate, we’re not sure what is! 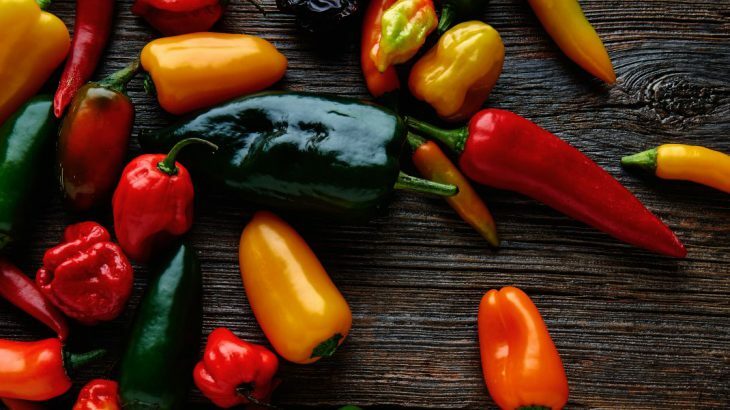 For those of us willing and able to cope with spicy foods, this is the day to celebrate in style – you may even be lucky enough to live in an area that has habanero-eating competitions, fancy dress or spicy cook offs! For everyone else, whether you like a slight tongue tingle or full on mouth-on-fire-eyes-streaming, International Hot and Spicy Food Day is the day to simply indulge! To help you on your way, here is a list of Wendy Wu Tours’ favourite spicy Asian dishes. 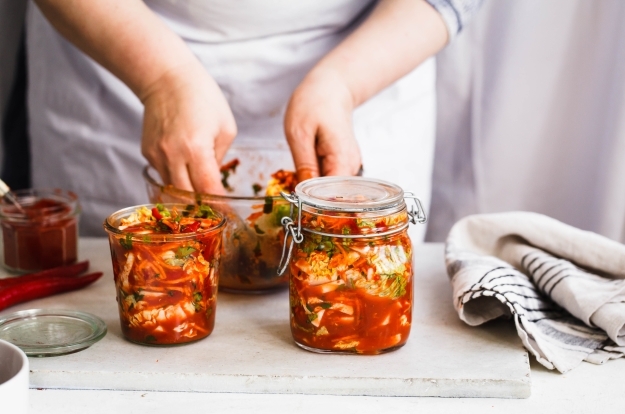 We cannot express enough how much the South Koreans LOVE kimchi – they eat about 2 million tonnes of it a year!! Made of fermented cabbage, garlic, spices and plenty of dry red chilies, the concoction is left to stew for a couple of months before being consumed with anything and everything. Many people like to make their own – that way you can keep an eye on the chili levels! Sichuan cuisine has a reputation for being fiery, particularly thanks to the inclusion of plenty of Sichuan peppers. 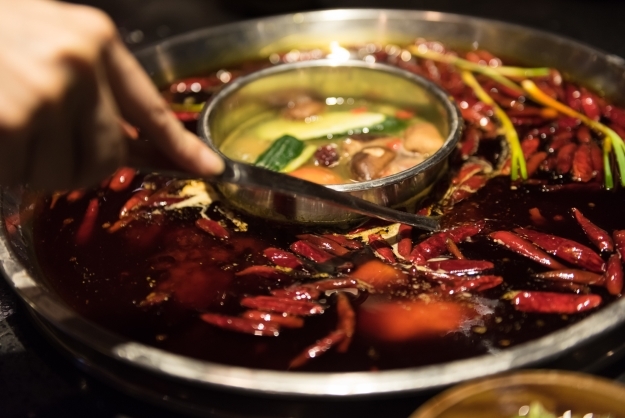 One of the best known and most pungent dishes is the hotpot, a boiling vat of broth made from garlic, onions and Sichuan peppers in which you dip raw meat and veggies to cook. Anyone on their holidays in China – needs to try this dish, though perhaps opt for a toned-down version! This well-known Thai dish combines sour and spicy to perfection! A soup, usually made with chicken or seafood, the recipe calls for classic Thai flavours lime juice, citrus leaves, a range of fragrant herbs and spices and plenty of Thai bird’s eye chilis! Vindaloo is thought, at least in some part, to have originated in Portugal, particularly as it’s a dish native to Goa in India. This dish is said to be one of the world’s spiciest, even the spiciest, and is made with pork or lamb, vinegar, potatoes, red chilies and the terrifying hot Bhut jolokia (ghost chili). Another curry that claims the crown of the world’s spiciest is phaal. The very spiciest versions of it use up to 10 different types of chili, including Bhut jolokia. Other ingredients include chicken, tomato, ginger and chili powder. Apparently, phaal was invented in the UK. 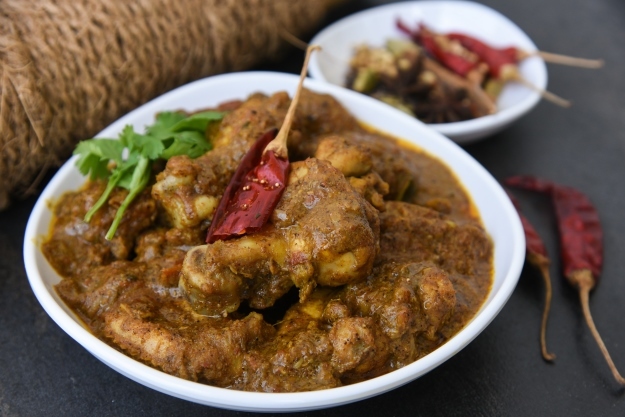 From the Indian state of Maharashtra, the chicken part of the dish is marinated in a past of clove, garlic and, of course, copious red chilis! It’s then simmered in a coconut based to become another of India’s bold and spicy curries! You don’t get a lot of spice in Japanese food, but on Japan‘s northernmost island of Hokkaido, which gets very cold, this comforting bowl of super spicy ramen is an exception! With chili oil and habanero peppers, it’s certainly warming! A dish from Hunan province, Gan Guo is a masterfully fiery mixture of red and green chilis, scallions, ginger and garlic, all stir fried together with meat, vegetables and tofu. It’s said to be one of China’s hottest dishes. 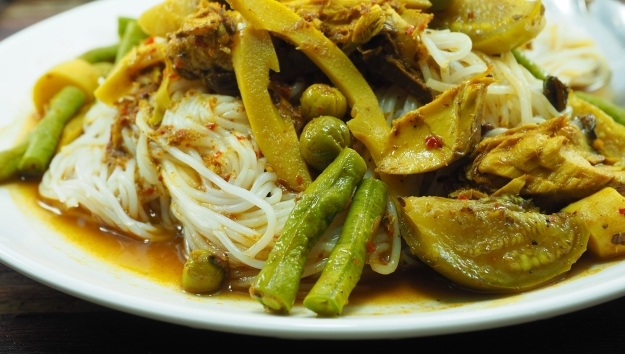 A highly spicy curry from southern Thailand, this dish might be an acquired taste as it’s made of a salty sauce called tai pla made from fermented fish entrails. Both the tai pla sauce and the dish itself includes lots of both dry and fresh chillies, whilst the dish as a whole, packs a lot of flavour punch! These fish cakes, usually steamed or grilled in a bamboo leaf, are made up of a mixture of fish paste, garlic, shallots, turmeric, lemon grass, coconut milk and, you guessed it, lots of chili peppers! The amount of chilis can of course be adjusted according to taste. Wendy Wu Tours may operate a fantastic range of escorted tours to China, Japan, India and Southeast Asia, but we also create bespoke, tailormade itineraries across Asia – give us a call now to start creating your perfect holiday! General festivals, food and drink, hot and spicy, news. permalink.